Angkor Hospital for Children (AHC) is a pediatric hospital in Siem Reap, Cambodia, with services such as outpatient treatment, surgical/emergency facilities, and dental healthcare. 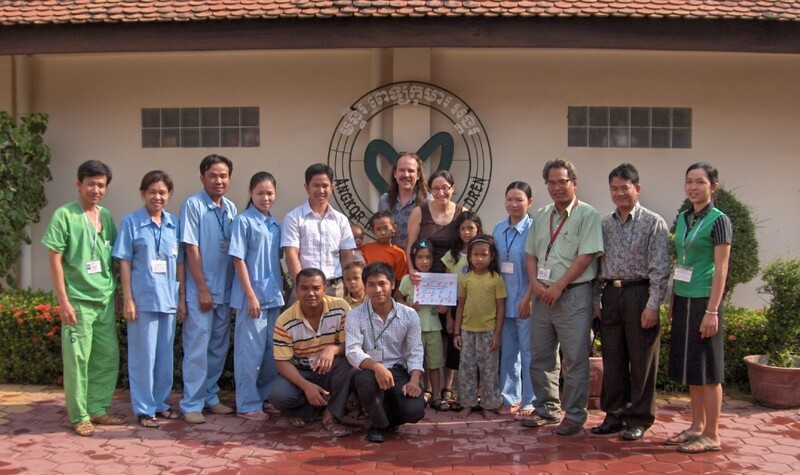 It operates with a simple goal: to improve healthcare for all Cambodian children. To this end, AHC has been implementing successive measures to ensure that Cambodian children have access to high quality medical care, regardless of their location and ability to pay. It operates a satellite clinic to treat children who live outside Siem Reap, offers health education to rural communities, trains village and governmental healthcare workers, and provides homecare for HIV-infected children. AHC treats a range of ailments – from pneumonia, malnutrition and diarrhea to AIDS, dengue fever and other common tropical illnesses. AHC is dedicated to ensure that children in Cambodia receive adequate medical care. Besides providing access to medicine, AHC’s own Social Work Unit is breaking new ground in comparison with other Cambodian healthcare providers. Social work is a relatively new field in the country – thus, the Marshall Foundation is proud to assist in each and every one of the Social Work Unit’s achievements. The Social Work Unit is a department comprising 13 social workers. It was established in 2010, and is the first of its kind to offer on-site care at a children’s hospital in addition to various outreach activities. In 2015, it provided 6,191 counseling sessions, helped 863 patients under the child protection program, and conducted 487 outreach and social services activities. The social work team specializes primarily in emotional therapy for patients and their families in need of support – notably those newly diagnosed with HIV, terminally ill, or have been sexually exploited. The staff of the Social Work Unit receive on-going training at AHC and through the Department of Social Work at the Royal University of Phnom Penh. In addition to formal education, all counselors take part in “self-care” programs through daily departmental check-ins, in which they discuss difficult cases and how to bear the emotional weight of patients.